Cherries contain a natural antioxidant called chlorogenic acid that contributes to cellular health. 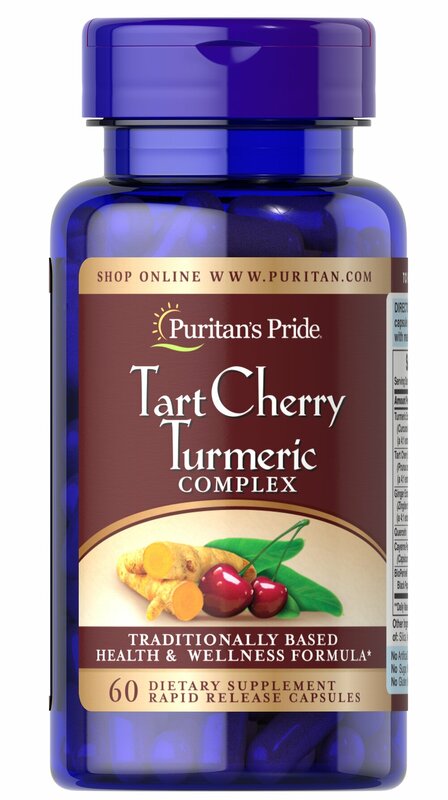 ** This complex also contains Turmeric, which has been used for centuries in Asian cultures as a popular spice. Among the active ingredients in this ancient root are curcuminoids—most notably curcumin—plant-based antioxidants that can help cells defend against damaging free radicals. ** Bioperine is an ingredient that supports absorption. No Artificial Color, Flavor or Sweetener, No Preservatives, No Sugar, No Starch, No Milk, No Lactose, No Soy, No Gluten, NoWheat, NoYeast, No Fish. Sodium Free.